James graduated from Canterbury University (Trinity College) with a Bachelor of Arts degree. They lived in Magheracross in the County of Fermanagh. James was a Captain in the 72nd Highlanders and was awarded the Afghan War Medal "Kandahar Bronze Star". They have one son Charles. Alexander Charles John - - Awarded Military Cross - married (?) C.S.M 2nd T.V.L. Scottish - Awarded the Military Cross in South Africa. 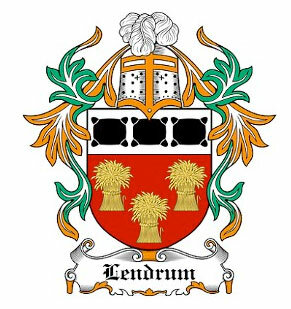 William Trevor Vesey was baptised with the name of William Trevor Lendrum. He was educated at Trinity College, Dublin University, Dublin, County Dublin, Ireland. He was educated at Portora Royal School, Enniskillen, County Fermanagh, Ireland. He was Classics Lecturer in 1890 at Gonville and Caius College, Cambridge University, Cambridge, Cambridgeshire, England. Changed his surname from Lendrum to Vesey in 1918. Rosabelle Frances (?) married (?) C.R.Walker or (C.R. Vikor)?